A teenager “borrows” her grandmother’s pain pills. 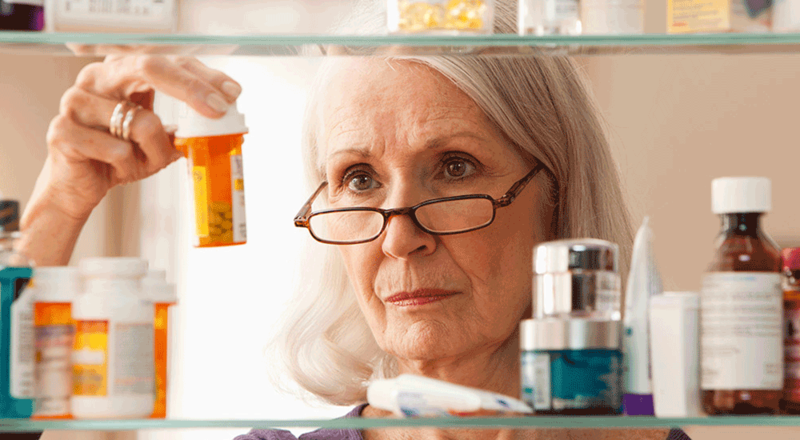 Watch this powerful video to understand why it’s so important to remove unused and expired medications from your home. Veterans! It’s time to prevent drug misuse and theft by ridding your homes of potentially dangerous expired, unused, and unwanted prescription drugs. Removing these drugs also reduces the chance of taking them by accident and poisoning, especially for children, and reduces the risk of taking the wrong drug by mistake. The national awareness campaign is tomorrow, but Veterans can dispose of their unused and unwanted medications anytime. VA is a leader in providing safe and responsible medication disposal options for Veterans and remains committed to the disposal of expired or unwanted prescriptions and over-the-counter drugs at every VA medical center and Community Based Outreach Clinic. If you are not able to participate in the National Drug Take-Back Day, VA can also help you safely dispose of expired or unwanted prescriptions and over-the-counter drugs. VA has envelopes that you can use to mail your unwanted medications for disposal that is safe for the environment. These envelopes are free and do not require postage. 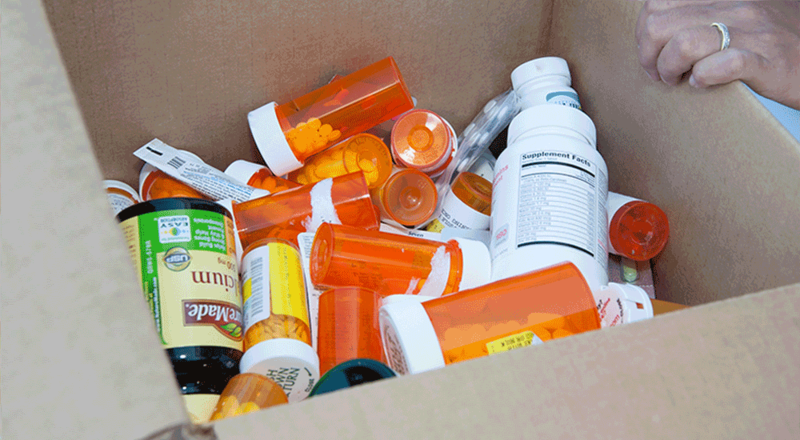 Your VA may also have a receptacle where you can deposit your unwanted medications. Check with your VA Pharmacist on which option is available at your VA facility. Mail-back packages are available to Veterans at every medical facility and VA has on-site receptacles at 112 different medical facilities. If you are unable to come to the VA facility, contact your VA pharmacy to have a mail back package mailed to your home. As of Sept. 30, 2018, Veterans have returned more than 99 tons of unwanted or unneeded medications using receptacles or mail-back. All medications are destroyed by a DEA registered vendor in an environmentally responsible manner keeping medications out of waterways and landfills. “National Prescription Take-Back Day is a great way to get the word out to Veterans about the safe disposal of unused meds,” said Jeanne Tuttle, national pharmacist program manager, VHA Pharmacy Benefits Management Services. Unused drugs should be done away with. Because it’s gradually finishing our country. It will increase the percentage of expired drugs if not treated very quickly. Hans, please confirm with the Loma Linda VAMC pharmacy. I brought mine to the window of the new pharmacy a month or so ago and they made me take them to the San Bernardino County Hazmat Disposal Section. The VA would NOT accept them!